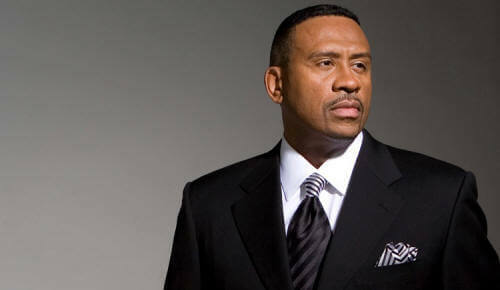 SiriusXM announced today a new line-up of exclusive programming for its Urban View channel on Sunday mornings. SiriusXM's new Sunday line-up features thought-provoking programming including powerful sermons from today's leading pastors, discussions on financial security, civics, health, wellness and more. 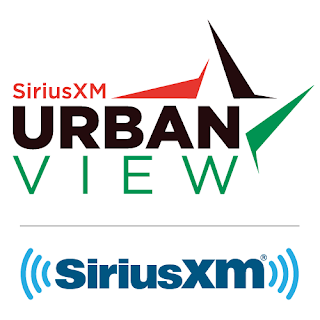 These new programs air Sundays on SiriusXM Urban View Channel 126, starting at 6:00 am ET. New voices on the channel include a healer, financial advisors, social justice advocates, and thought leaders. "I am proud to announce Urban View's new Sunday line-up featuring inspirational shows that will help listeners recharge for the week ahead," said Karen Hunter, Urban View host and Programming Consultant, SiriusXM. "In keeping with Urban View's mission, our new programming will feature shows for spiritual enlightenment, financial empowerment, and social activism." For Your Soul – A new show featuring empowering sermons from recognized spiritual leaders including Reverend DeForest "Buster" Soaries, Jr. and Pastor John Gray. Airs at 6:00 am ET. Ask the Good Doctor – Hosted by renowned Naturopathic Doctor and master herbalist Dr. LaJoyce Brookshire, the show focuses on restoring and maintaining health of the mind, body and spirit. Airs at 8:00 am ET. Last Mile Radio – A re-airing of the successful audio documentary from inside California's San Quentin prison, about teaching inmates coding, business skills and, most critically, a second chance at life. Airs at 9:00 am ET. Sunday Civics – Hosted by NAACP Brooklyn Chapter President L. Joy Williams, the show focuses on civics and social engagement featuring interviews with advocates, elected officials and private citizens determined to make a difference. Airs at 10:00 am ET. Momentum Advisors – Hosted by Allan Boomer and Tiffany Hawkins, co-founders of the wealth management firm Momentum Advisors, the show centers on personal financial advice, entrepreneurship and how to build a successful legacy for yourself and your family. Airs at 11:00 am ET. Next Nation – Building a legacy for the future with Sylvia Alston. Airs at 12:00 pm ET. Clay Cane Show – A show tackling controversial issues and hosted by author Clay Cane. Airs at 1:00 pm ET. SiriusXM's Urban View channel is already home to outstanding African American voices including renowned host and human rights activist Joe Madison "The Black Eagle"; writer and publisher Karen Hunter; actor and comedian Godfrey; legal analyst Laura Coates and many more. The Urban View channel is available to SiriusXM subscribers nationwide on satellite radios, on the SiriusXM app and online at siriusxm.com. SiriusXM recently announced that its 200+ channels – including SiriusXM's Urban View – are now also available for streaming to SiriusXM subscribers nationwide with Amazon Alexa. Go to www.SiriusXM.com/AmazonAlexa to learn more.